Bajaj Auto is hoping to put up an improved sales show in 2017-18 on the back of recoveries in both domestic and export markets after a rough ride last the last financial year. With an aim to increase its overseas shipments, the company plans to enter at least five new markets the current financial year. "Last fiscal, we faced challenges both in domestic and export markets. Demonetisation and BS-III ban had big impact on overall industry sales," Bajaj Auto President (Business Development and Assurance) S Ravikumar told PTI. He further said the company's exports had also suffered due to political uncertainties and currency issues in its major export destinations. Shipments to Nigeria, one of the biggest export markets for Bajaj Auto, and Sri Lanka had declined last fiscal. This year, he said the company is cautiously optimistic that the two-wheeler industry will gain in the domestic market from favourable factors. "Remonetisation is more or less complete and there is also a prediction of a good monsoon. We hope that the rural sales will bounce back. Besides, the sentiment is also good," Ravikumar said. On the export front, he said there has been stabilisation in Nigeria, with sales picking up again after declining to about 10,000 units a month, from a peak of around 40,000. "Our retail sales in Nigeria are touching 15,000 units now. We have also opened up in Poland and will continue with our plans to enter at least five new markets each year," he said. He further said the company has already enhanced its export product basket with the commencement of shipments of its sports bike Dominar to Latin America. 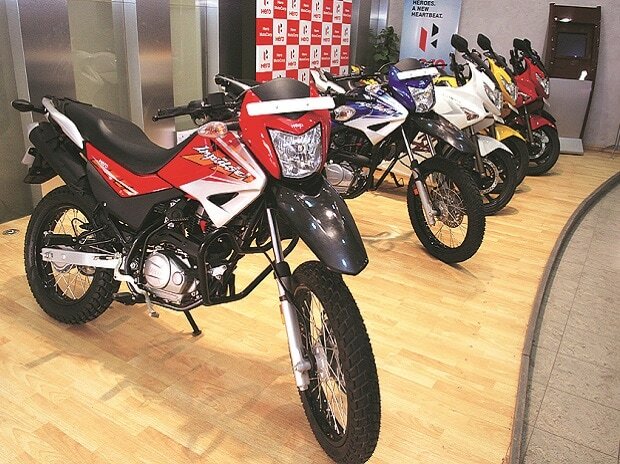 Besides, Bajaj Auto is receiving good traction in Nepal, Bangladesh, the Philippines and Malaysia this fiscal, he added.